A new city report released on Friday says purpose-built apartment rent increases in 2017 increased to 15-year high while vacancy rates lowest in 16 years, prompting one city councillor to request a strategy to combat what he calls a "housing crisis." A new city report released on Friday says purpose-built apartment rent increases in 2017 soared to a 15-year high while vacancy rates sank to their lowest level in 16 years, prompting one city councillor to request a strategy to combat what he calls a "housing crisis." New year, same old expensive rent in Toronto. Weren't we fixing this? The tenant issues committee report also suggests that landlords are listing their units for far more than what tenants are currently paying, prompting concerns that rent costs in the city are continuing to rise and making it more expensive for new renters entering the market. In an analysis of 4,895 publicly available rental listings in September 2017, the report found that the average asking monthly rent was $1,829 for all units. In comparison, the Canada Mortgage And Housing Corporation (CMHC) reported the average monthly rent for all units in the city was $1,240. That's a difference of about 47 per cent, meaning new renters could be paying close to 1.5 times more. Ward 22 Coun. Josh Matlow, who is the also chair of the tenant issues committee, told CBC Toronto in an emailed statement the report prompted him to ask the committee to come up with a cross-divisional strategy to make rental housing more affordable for Torontonians. "The rental data released today validates what many apartment hunters already know: Toronto is in the midst of a housing crisis as the city becomes unaffordable for far too many of our residents," Matlow said in the statement. "I have asked staff to develop a comprehensive strategy to help ensure that everyone has access to a safe, clean home without being forced to choose between rent and buying groceries." Matlow's senior policy adviser, Andrew Athanasiu, told CBC Toronto the councillor requested that strategy be presented at the tenant issues committee's first meeting of 2019. 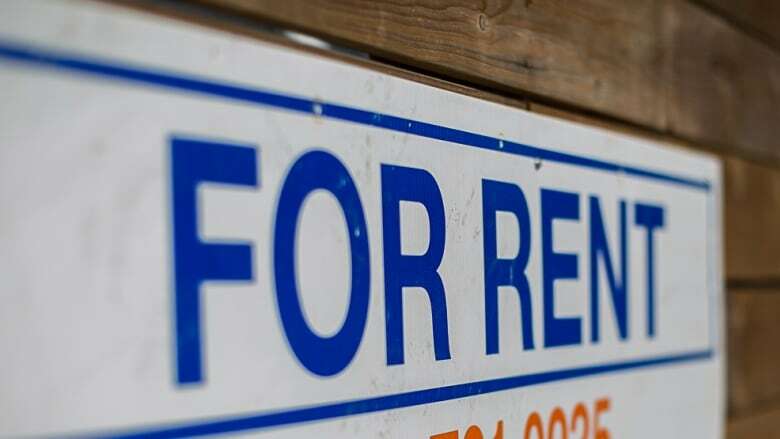 Athanasiu points to the report stating that 47 per cent of Toronto renters are spending more than 30 per cent of their income on housing, a rule of thumb usually touted as the barometer for affordability. "It's becoming increasingly difficult to follow that," he said of the 30 per cent rule. "Renting is simply unaffordable."